Best baseball pitching nets are innovative cages that are designed for use by players for training and polishing their pitching skills. These cages are also ideal for tee-ball practices, soft-toss, infield practicing, and hitting as well as accuracy training. The cages come with a sturdy frame construction that enhances durability and resistance to wear and tear. These cages come in different dimensions and specifications. As such, it is necessary to choose the right net for you depending on your needs. If you are looking forward to polishing your batting and pitching skills, then you should look no further than at this net from Rukket. This lightweight cage boasts a sturdy construction and stable orientation that provides players with excellent reliability when training using the net. The cage’s increased frame’s thickness enhances its rigidity and weight hence greater stability. The fold up the design of the product allows for easy set up of the cage. The most fascinating aspect about this Rukket training cage for baseball and softball is that it is nicely built, has strong frames and a unique net construction. This makes it possible to use the net consistently for everyday practice without worrying about the net getting torn or the frame breaking. The cage comes with 3 weighted balls that are specifically designed for training. The balls are ridiculously rugged, made from exceptionally durable materials and measure 3” in diameter. The PowerNet DLX Practice Net for baseball and softball is purposefully designed for players who are keen in becoming pros in these sports. The net is perfect for fielding, practice hitting, tee ball and soft toss practice among other skills. The most intriguing aspect about this cage is that it is styled and constructed uniquely to make it suitable for all playing styles. The product is ideal for both indoor and outdoor use as it is very resistant to extreme weather effects. When you purchase this product bundle, you get a strike zone attachment, ball caddy, and 3 training balls. The cage is designed with utmost portability and ease of setting up thus making it effortless to move the cage from one location to the other. The cage’s frame comes with a bow design to allow product stretching and flexibility upon impact with the ball. The base is elevated at a few inches from the ground to provide a stable and solid base as well as enhance its performance. This Franklin MLB Practice Net for baseball and softball is arguably the best training cage in the market. The cage prides itself on having a silk-screened catcher that comes with a defined strike zone which in turn helps players enhance their accuracy skills. The heavy-duty polyester material of the net is reinforced with a unique bungee netting system that provides for added durability. The product is ideal for both solo playing and team practice. With this Franklin MLB net, you need not worry about the net wearing out due to extreme weather effects. This is because the 600 denier polyester construction of the net provides for its added resistance to wear and tear caused by weather effects. Additionally, you can use the product indoors or outdoors especially when training for a competitive match. The frames are constructed using finely manufactured and strong material to provide for its added stability and sturdiness. If you are looking for a classy practice net for baseball and softball, then this is the net for you. Boasting of increased stability, the net has a heavy gauge steel base that enables the net to withstand all kinds of hits and pitches. The product has a long lifespan due to its high-end construction and high-quality materials. The cage is quite easy and effortless to set up as the pole sockets and hinges require no detailed skills to connect when setting up the net. The design and construction of this Bow Net cage are done uniquely to address the needs and preferences of all players. 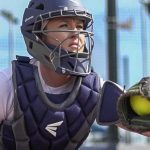 Since the net is made in consideration to the demands of all players, the product is performance oriented and is uniquely dependable for all baseball/softball practice needs. The net comes in a wide range of colors and is also lightweight thus allowing for easy portability. If you are looking for an all-inclusive baseball cage for practice, you should look no further than at this Easton XLP Net. 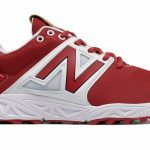 Specifically designed for functional convenience, the net is very classy and ideal for training for both softball and baseball. The cage comes with a double stitched net for preventing blowouts or any extreme wearing out of the net. What is more unique about this product is that it comes with a massive target area thus enabling you to enjoy a lively practicing experience. If you are a player who likes training right before a match to perfect your hitting skills, this is the ideal cage for you. This is because the net is lightweight and hence easy to carry around. Additionally, it requires very little effort to set up the net. The training cage comes with a detachable strike zone target as well as ground stakes for reliable training. The net and frame are generally very high quality thus enabling the cage to last for long without wearing out and getting dilapidated. The PowerNet I-Screen is a classy baseball and softball practice net that is lightweight and can be carried conveniently in a carry bag. The cage is designed for use for pitch batting practice, hitting practice, and testing accuracy skills. The cage comes with bow poles for maintaining tension on the Cage’s frames thus enhancing the structural strength of the cage. The practice net can be set anywhere whether indoors or outdoors in 2 minutes or less. If you want a really good baseball practice net that has a sturdy construction and is exceptionally firm, then this is the cage for you. The cage works great and is very reliable thereby providing you with a great opportunity to polish your skills effortlessly. The usefulness of the cage cannot be quantified in any way as it ranks among the best and top quality practice nets in the market. This Champion Sports Net Pitch Screen is a multi-sport practice net that is very ideal for baseball and softball. The most fascinating aspect about the cage is that it rotates to various different angles for different drills depending on the sport you are practicing for. The net is ideal for use in practicing ground balls, pop flies, and line drivers. What is more amazing about this cage is that it comes with a powder coating on its steel frames thereby possessing impressive durability. Measuring an impressive size of 42” X 72”, this practice net is a versatile and useful training tool for most ball games. You can practice a wide range of playing skills on the net including batting, catching, throwing and kicking on the same net. The net in the cage is made from high strength nylon material thus making it possible for the product to last long and endure intense hits without getting torn. 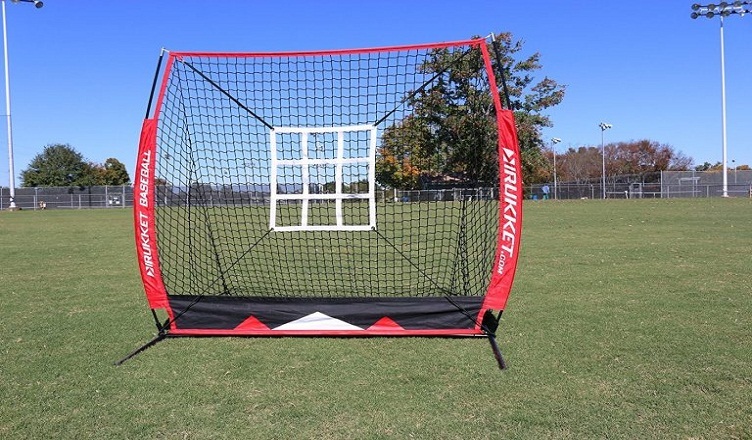 If you want a convenient, reliable, and efficient practice cage, then you should opt for this SKLZ Quickster Net. With strike zone coverage area of 49 square feet, this easy to set up practice net is perfect for baseball and softball practice. The cage is sturdy and very stable hence it boasts of ultra durability throughout its life. The net is perfectly suitable for consistent high-intensity training, is lightweight, and very portable to carry around. This SKLZ Quickster training net is professionally designed and developed such that it comes with a detachable pitching target. When using this cage, you can be guaranteed to use much of training time to perfect your skills rather than chasing down balls. Improve your swinging and batting skills by targeting the net. Ideally, the practice cage is superiorly designed and uniquely constructed thus making it a very reliable practice and training tool. 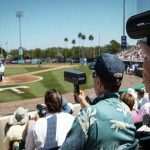 TRAINING GUIDES: How to choose and practice with a Baseball Net? Finding the right room to practice batting and other baseball skills can be quite challenging. Backyards are limited in size in that they do not provide enough space for full bat swings and also pose the risk of causing damages to windows and other structures. If you want to practice baseball comfortably and freely without causing any damages or injuries, you should consider purchasing a baseball net. These cages provide batters with an opportunity to enhance their playing skills and provide a protective shield for pitchers. 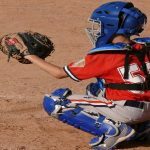 Before you embark on searching a baseball net, it is necessary that you have a budget outlining the amount of money you are willing to spend on these nets. Ideally, top quality baseball cages are more expensive than standard cages and hence cost more. You should be willing to spend a little more money on a good product to get good value for your money. There is no point in purchasing a poor quality net to save a few dollars but the net ends up wearing out within a few weeks. The frame constitutes the most important and crucial aspect of a baseball cage. This is because it provides structure and support to the cage. The most widely used material for baseball cage frames is metal though other materials like fiberglass have started being used. It is worth noting that the material, craftsmanship, and quality of the frame go a long way in enhancing the longevity and durability of the cage. As such, you should consider the cage with the best frame; that which meets your needs in terms of longevity, reliability, and durability. The perfect size of a baseball net to purchase is mostly a personal choice that mainly depends on personal preferences. The size of these cages is measured in feet in three dimensions (L, W&H). For players who are keen on simulating a commercial pitching environment, a 70 feet long cage is perfect for them. However, for recreational playing and practice, smaller baseball nets may be perfect for them. The best-sized cage should allow you to move freely in the cage while practicing. Using a baseball net can help you improve and polish your baseball playing skills greatly. For hitters, these cages provide them with a great chance to enhance their hitting power and make more accurate hits. However, it is advisable to seek help from a pro baseball player so that you can understand the fundamentals of playing baseball before you use a cage for training. When practicing your hitting skills using a baseball net, you need to focus on making correct swings so that it becomes easy to direct the ball to your desired target. You can also practice better arm strength using a baseball cage. For arm strength training, it is important that you throw heavy balls using your arms to strengthen your muscles. What is more unique about baseball cages is that you can use them for practically all hand drills in baseball. You can throw your baseball into the net and work several ground balls at forehand, backhand, short & long hops and charge plays. When done wrong, training with a baseball net can have far-reaching consequences on the batting abilities of any baseball player. Due to this, it is necessary to prioritize on concentrating on the basics and fundamentals of the sport, especially among youthful players. However, for experienced players, it becomes easy to polish their skills as they already understand the concept and basics of playing the sport. The portability of a baseball pitching net makes it easy to rely on the cages for baseball training even when on the move. With a durable and highly functional baseball net, you will definitely be enjoying practicing and playing baseball. Generally, there are lots of products on the market. Some of the best baseball pitching nets are of high quality while others are substandard. Due to this, it is necessary to do your research to identify the right practice net for you; one that suits your playing styles and meets your needs and preferences.